Not all Sundays are for sleeping, running errands or fixing the broken. Some Sundays are for creating history. A history that has legacy. a legacy, that can be passed on and written in golden words. 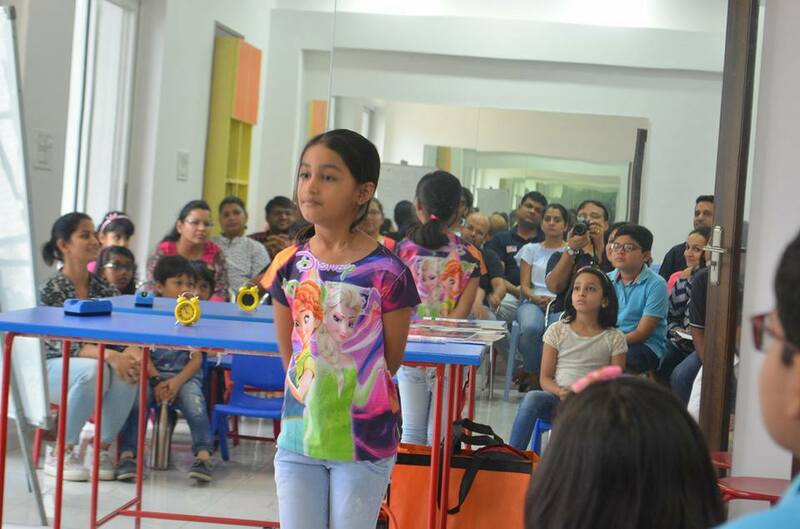 That’s exactly what happened at Division D, District 41, on Sunday 23rd July 2017 when Jaipur hosted its first ever Gavel’s Club meeting at Vatsalya Legacy Preschool, Adarsh Nagar, Jaipur. TM Siddharth, TM Shweta, TM Nisha and TM Nidhi had begun the preparations a month ago. We started reaching out to our personal contacts. Practically, no one had ever heard of Gavels Club before. We requested them to come for the curtain raiser. On that Sunday, our team of enthusiasts reached the venue hoping for children to show up. It was the moment of truth. Our expectations were humble and determination, strong. At 9:35am, the first child entered the premise and brought hope along with her. The mother looked more anxious than the 8 years old girl. In the next few minutes the count increased and meeting venue started to fill up. By 9:45 am, the meeting hall had a promising number of 30 children along with their parents. At 9:55, the audience were beaming with anticipation and without any further ado, we started our first ‘Young Orators Gavel Club’ meeting sharp at 10:00am as scheduled. At the outset, the strength & structure of Gavels club was explained to children in form of a story. We had three prepared speakers and ten table topic speakers. Children showed plausible enthusiasm to come on stage, talk, be seen & appreciated. The evaluations were given with CRC approach. We touched lives today and nothing can be more gratifying than that. This meeting has marked a new beginning for many more milestones to be achieved. Cheers to the ‘Young Orators Gavel Club’!